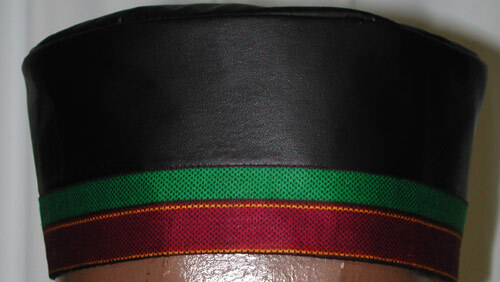 Plain black leather with kente trim Kufi Hat. Elegant enough for formal occasions and yet could be worn daily. (Available in all colors, and sizes) Extra fee will be added to sizes (Medium - X-Large). Perfect for gift items. Made by Wilsdom Designs.